“A great influencer is someone with integrity and something to say. 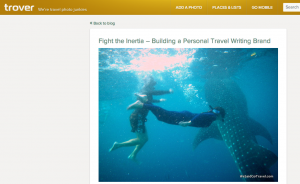 Many people are making noise in the cyber world but an influencer shares their knowledge and stories and other people are drawn to learn more.” More great advice from veteran blogger and writer Lisa Niver of We Said Go Travel. #StudyAbroadBecause: It will Change Your Whole Life! “Who says love stories have to have a Romeo-Juliet ending? But again the ‘Prince Charming and happily ever after’ tale we have been led to believe is just limited to text, or is it? Whether you admit to want to fall in love or not, the desire to share those little precious moments with someone cannot completely fade away. Of course with heart wrenching experiences, you may believe such things don’t exist and rightly so, but one day you realize that the glass is not half empty after all. Lisa Niver Rajna and George Rajna, founders of We Said Go Travel, host travel storytelling contests for emerging travel writers. Here are a few gems from our chat.You and George have established quite a travel blog together. What advice would you give to someone considering a travel blog of their own? Read the full interview – click here. 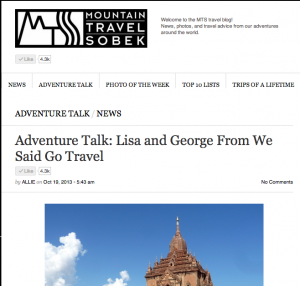 Thank you to Mountain Travel Sobek for interviewing us for Adventure Talk! We are honored to be included in their adventure series! Avid travelers and entrepreneurs, Lisa and George fell in love while exploring the world, and have continued to strengthen their bond while reaching out to inspire others to live their dreams. They are two educators with a passion for globetrotting, and their adventures have brewed their creation of We Said Go Travel, a site that has developed into a global community, where over 300 people have come to share their story. 1. When did you fall in love with travel? George: I first fell in love with travel when I traveled with my parents as a young child on a road trip in Mexico, and during family trips to Israel and the Bahamas. I eventually truly fell in love with travel on my own when I traveled to Europe for the first time. I knew it was something I wanted to continue to do. Lisa: My parents took my sister and I on a cruise to the Mediterranean when I was twelve. I loved being at sea and waking up each day in a new port. The waiter gave us huge bags of fruit to take on the bus to the pyramids; he was worried we wouldn’t find anything to eat. Riding a camel that day was an experience I have never forgotten, and I am still hungry for more adventures! Read the full interview: Click here! What’s your dream destination: Lisa: Since I met George, we have traveled to several of my dream destinations including Borobudur, Indonesia, Gobi Desert, Mongolia and Sipadan, Borneo. Soon I would like to go to Palau and our final continent, Antarctica. George: I would add to that an African safari. Best travel tip: Use the “F” word: flexible! As Dave said, “I first met Lisa and George a number of years ago at an event in Los Angeles. Their unbridled enthusiasm for International travel is truly contagious. 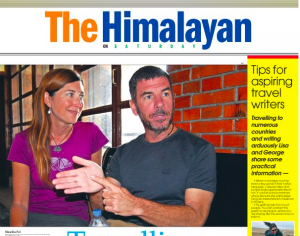 Few people are lucky to go on one Round the World Trip (RTW) in a lifetime; Lisa and George have been privileged to experience two RTW trips and in fact at the time of this interview, are currently in the midst of their 2nd RTW trip. As Flip says, “Lisa and George are the owners and writers behind one of the newest blog that I’m following, We Said Go Travel. There’s a lot of useful articles that can be found in various destinations. Both Lisa and George are well travelled and have been to more than a hundred countries already (and still counting). Enjoy this “Week-In-The-Life” story as we move from the sun-kissed isles of Thailand to the city life in Kolkata. Is life on the road like a photo on a postcard? Sometimes we buy boat tickets, go on buses with flat tires and wait in traffic, but overall we are making our dreams come true-together. We hope this day-by-day look will inspire you: CLICK HERE to read it all. 2. Stay in lower end accommodations. As long as a room is clean, it does not have to have every amenity. If you are away on a long trip, most people cannot afford to have luxury every night. Lisa, you’ve visited more than 100 countries. What has been your favorite country to visit so far? I would have to say from our year trip Mongolia was one of my most favorite! I loved the vast expanse of nothing that they call the Gobi Desert. It is spectacular. We did an eleven-day van trip with another couple who we met as we got into the van. I also think of Thailand as my future home. We cannot wait to get back to Thailand! Today we have the fine pair behind the super blog We Said Go Travel. With well over 100 countries tucked away in Lisa and George’s repertoire, these guys are experts! Their blog is full of videos, info and tales from far flung places.Tell us the story! How did you guys meet and what made you choose to write a travel blog? George found me online—and we started traveling together almost immediately. Our first journey was to Fiji and Vanuatu. In Vanuatu, we went to a village, met a Peace Corps worker and I had my first bucket bath. When we started our first year-long journey, we wrote a newsletter every month. 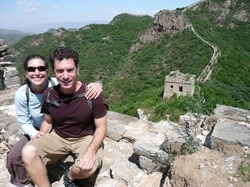 After we got married, we went from our “He Said, She Said” to our website: We said Go Travel. Read the full interview. 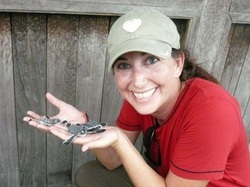 Teaching Traveling: Hello, world traveling teacher Lisa Niver Rajna! 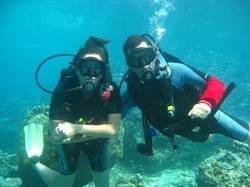 Lisa: Traveling and teaching have always been parts of my life! I have taught preschool to middle school usually with a focus on science. This is my thirteenth year teaching and currently I teach K-6 science in Los Angeles, California where I grew up. I also spent seven years on the Seven Seas as a youth counselor and assistant Cruise Director, just like Julie McCoy of the Love Boat! Lisa Niver Rajna is our Geography Awareness Editor, a world traveler, and a science teacher in Los Angeles, California. Think that science isn’t international? Think again! I’m impressed with the work that Lisa does with her students – exploring the world, and the people in it. She’s the publisher of two websites that combine her love of travel and teaching science – We Said Go Travel, and Science Isn’t Scary. She embodies the true meaning of international education – and practices it every day. Read the interview and see the photos here. Frequent Traveler Who Lost 60 Pounds While Traveling: LeanTraveler.com interviewed Lisa Niver Ranja about her traveling experiences and how she stays lean while on-the-go. Read the interview here. What’s your favorite budget-friendly location that you’ve ever visited? He Said: I would have to say my favorite budget destination would beIndonesia. Especially when I visited Sulawesi in 1998 and the exchange rate was amazingly favorable. 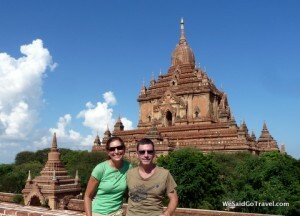 In six weeks, I spent under $400.She Said: My favorite budget destination would be Cambodia. While we were away for eleven months, we had three weeks with my parents when we swapped from minus one star travel to five star travel in Asia. When we went back to budget style, we ate dinner for two for $4.50 USD in Siem Reap; excellent Thai food on the cheap. Read more….